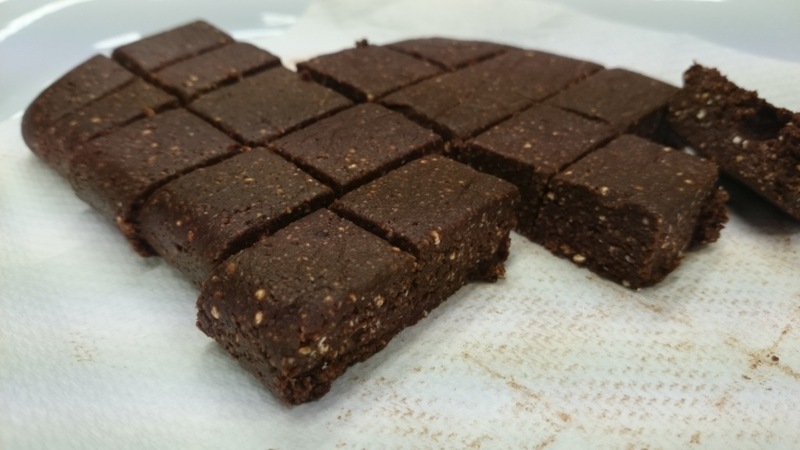 Superfoods fudge and balls are easy to make. You just need a food processor to blitz it all together. 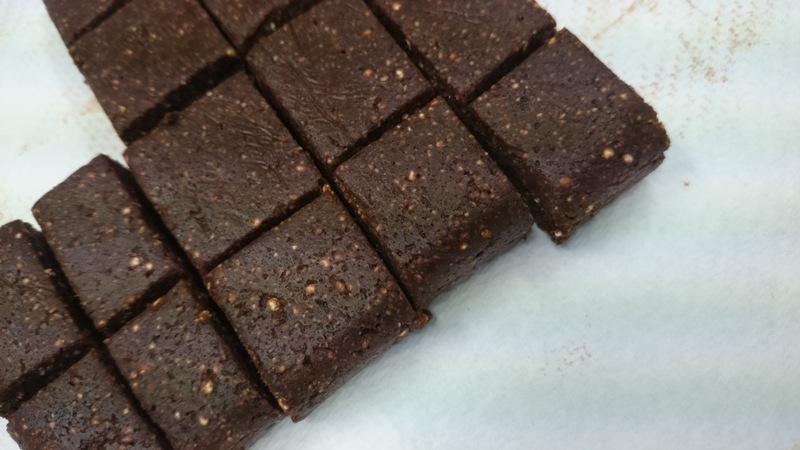 Healthy fudge in this case may I add, as there is strictly no added sugar and it is almost raw. Almost as I used grilled quinoa for this one. You can easily substitute quinoa with goji berries / dry fruits like apricots / raw nuts if you wanted to go raw. Even easier as you don’t have to get the oven on or burn the first batch of your quinoa like I did! I was intrigued to use quinoa this time around! Gave an earthy taste and I am hooked. Dates + cocoa taste soo delish! I brought some to work and to the box later on, they were much enjoyed. You cannot find easier recipe than this 5 ingredients fudge. Place in freezer for 3 – 4 hours until set. Remove from freezer, a cut into small, 1/2″ squares (remember these are bite sized!). Store in freezer and enjoy whenever the chocolate craving hits.